Mexico and the United States have “reached a preliminary agreement in principle, subject to finalization and implementation” on the terms of a new trade deal to revamp NAFTA. Canada is yet to agree to new terms and is engaged in ongoing discussions. It appears that the US-Mexico trade deal should encourage greater cross-border e-commerce, but could also cause North American manufacturers to re-evaluate their production and sourcing strategies. In fact, the new agreement sees rules of origin content requirements increasing across a wide range of products, including “chemicals, steel-intensive products, glass, and optical fiber”, as per the US Trade Representative’s press release. Some see these changes as going too far, arguing that existing NAFTA content requirements are “some of the most restrictive in the world” already. As we examined last year, choosing the ‘right’ content benchmark is a delicate balancing act. The higher it goes, the more you incentivise production within the free trade area, so as to qualify for tariff-free cross-border trade. However, if the level is set too high, necessitating the use of expensive North American suppliers, it may end up being cheaper to source parts from Asia, for example, and pay a US-Mexico border tariff anyway. The US and Mexico have also agreed that 40-45% of a vehicle’s content must be made by workers earning $16 per hour, which clearly favours US manufacturers. 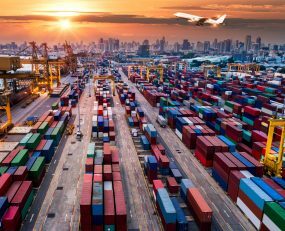 There are of course a myriad of other concerns which determine where companies manufacture and source goods, so it will be interesting to see if these changes are significant enough to alter supply chains going forward. At the least, it should prompt numerous manufacturers to reassess their strategies. Cross-border e-commerce to benefit as de minimis increases, but could more have been done? Mexico has agreed to increase its de minimis shipment value threshold from $50 to $100. If an item’s value is below the de minimis threshold, no tariffs are applied. While any increase should encourage greater cross-border trade (e-commerce especially), a boon for those managing the flows, customs brokers dealing with tariff-related administration will not be so overjoyed. The limit is still well below the $800 de minimis for goods entering the United States (raised from $200 in 2016). The US had originally asked Mexico’s threshold to be increased to closer to $800, and one wonders whether a higher limit could have been secured?